Dydd Gwyl Dewi hapus i bawb. "gwisg cenhinen yn dy gap a gwisg hi yn dy galon"
March 1st is the day that the Welsh celebrate being Welsh. and it is believed that he was a monk who died on March 1st around the year 590. 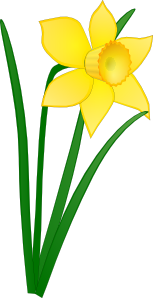 March 1st is therefore St David's day! I might be thousands of kilometres from Wales, but we still uphold the traditions in this house. 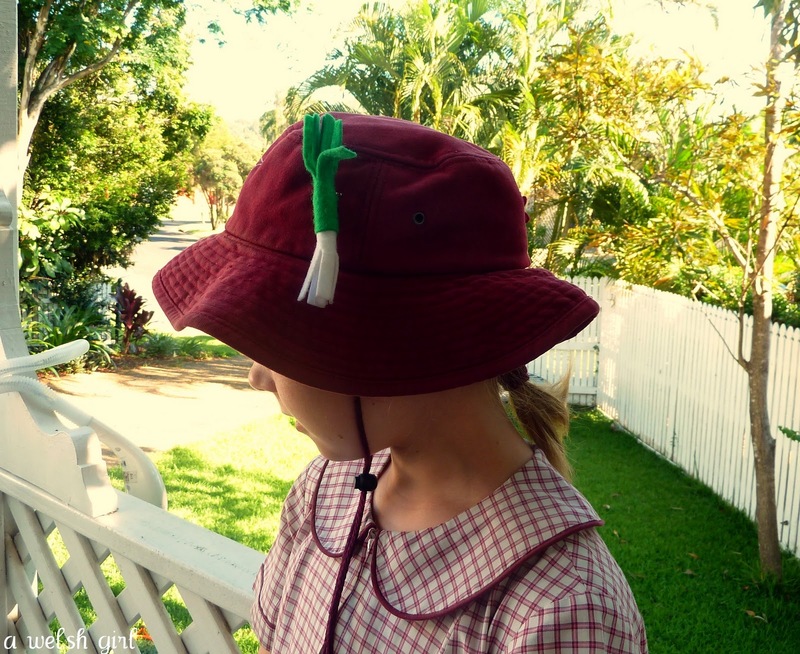 Hence, the leek on the school hat this morning! It comes out of it's safe hiding place each year and Sibs proudly tells anyone who asks why she wears it. 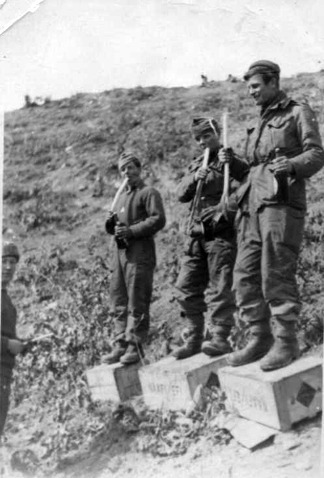 It's a tradition for Welsh soldiers to wear (and eat) leeks on St David's Day. It's a real symbol of being Welsh! ﻿﻿I have so many childhood memories of St David's day.... School children would dress up in traditional Welsh costume - flannel skirt, shawl, black felt hat and the girls would wear a daffodil on their shawls and the boys (who didn't have half as much fun dressing up) would wear a leek....a real one! I still have an old school photo of me in full regalia...I wonder if the children still dress up? 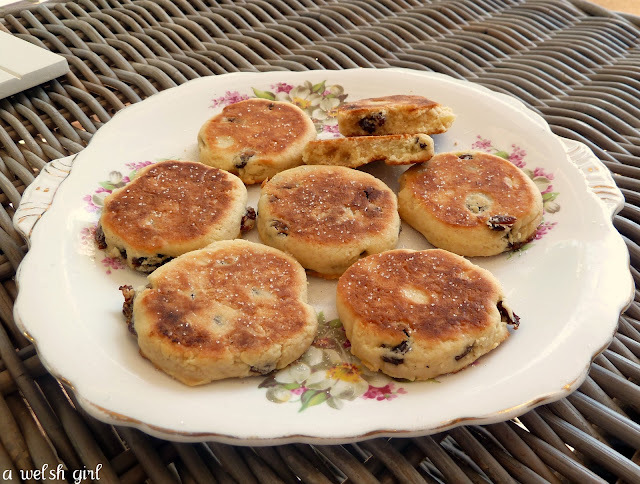 So today in our house, we spoke a bit more Welsh than usual, Sibs learnt a bit more about her history, and we ate the obligatory picae ar y maen (welshcakes). Hope you had a lovely St David's day!